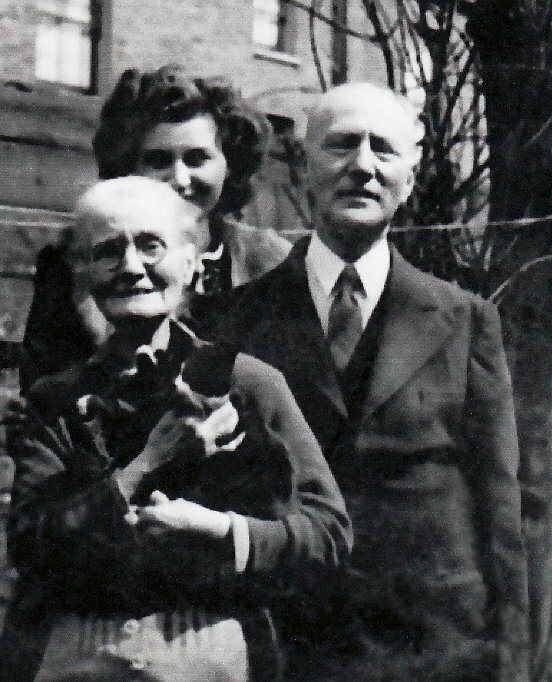 Gilbert Heron was born with the name Leopold Sinsheimer in 1872. His mother Francis was Dutch and his father Adolphus was from Germany. After arriving in England he lived in Hackney, London. 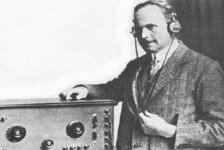 Leopold took the name Gilbert Heron and became a radio engineer in the very early years of this technology. Gilbert Heron wrote stories for publication in London magazines from around 1898 to 1902, with the content often being about communication across the ocean. Some of these would also be published in magazines overseas. 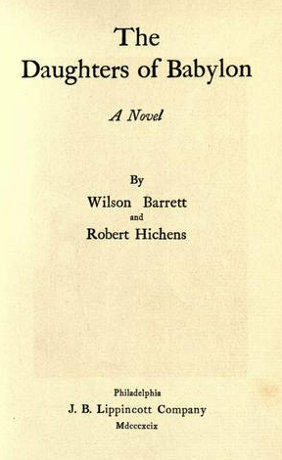 Later he wrote about the theatre as he became an actor himself, and met and married the actress Jessie Danvers in 1899, when Gilbert was 27. 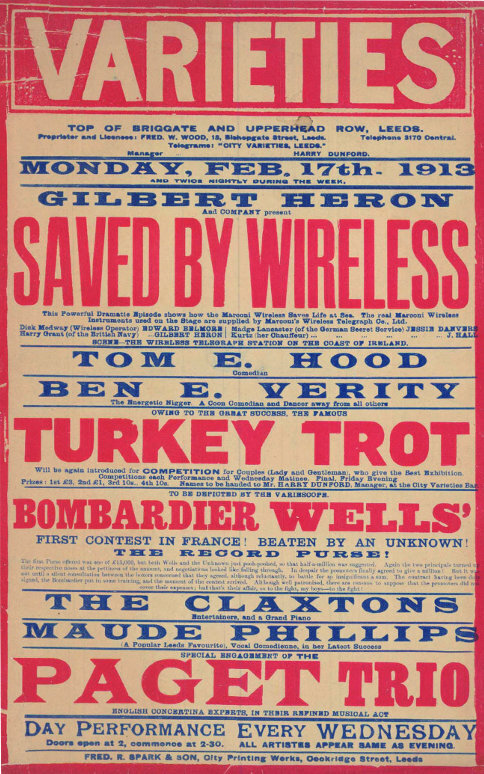 Between his writing, radio engineering, family connections and acting skills, and his involvement at the time with the pioneering Marconi radio company, Gilbert Heron put all of these together and wrote, produced and performed in a stage play with several other family members called ‘Saved by Wireless’, which used real Marconi electronic instruments as dramatic props. This performance was repeated in many venues around England. 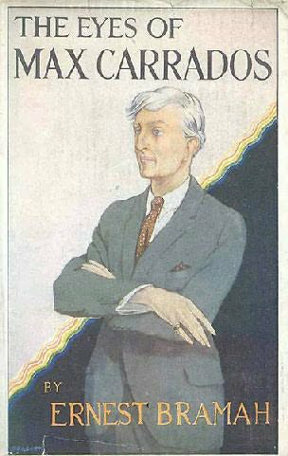 ‘Saved by Wireless’ was adapted by Gilbert Heron to become a radio drama when his career led him to write and act in the early transmissions of 2LO in London. 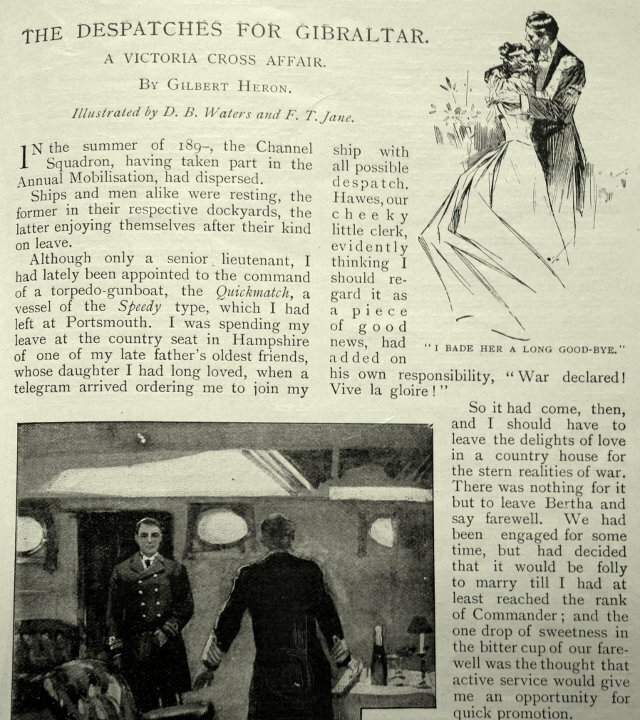 At the turn of the century, and overlapping with his early theatre work, Gilbert Heron wrote stories for serialised publication in magazines. 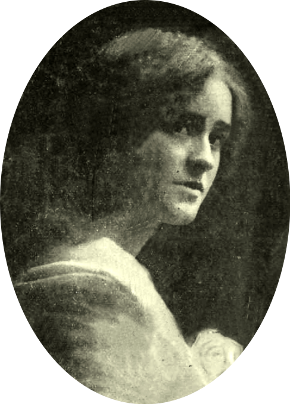 Gilbert married Jessie Danvers, an actress who had recently become the widow of George Belmore, in September 1899. They were working together in theatre productions as early as 1895. 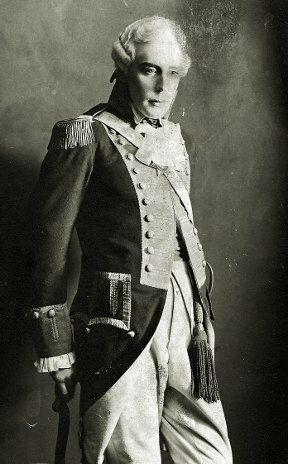 Gilbert became the stepfather of five children that Jessie had with George. 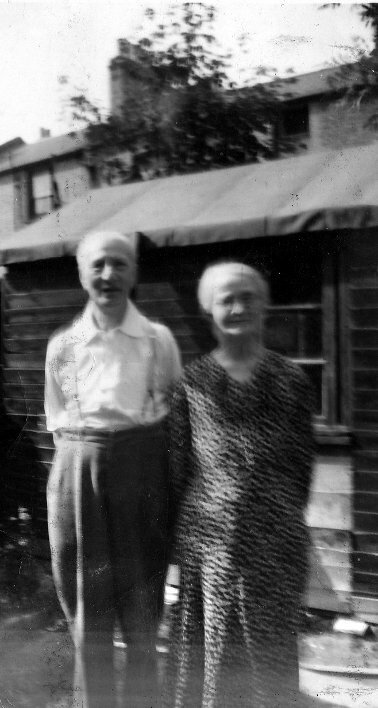 They had two more children together; Leo Danvers Heron and Francis Andrew Heron. Theatre, and the Heron and Danvers’ Sketch Company. 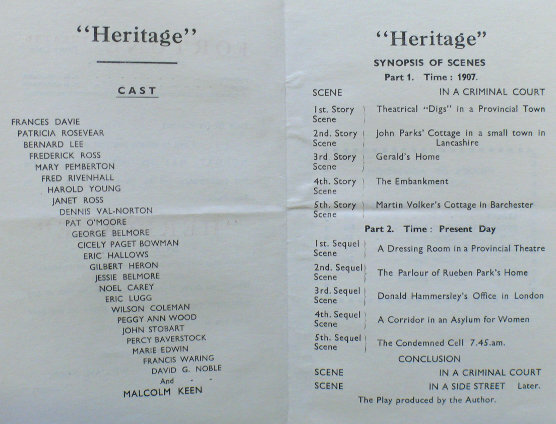 Gilbert Heron was an actor in theatre and performed all over the UK. He was also a writer, producer and stage manager, creating his sketches with his own company. 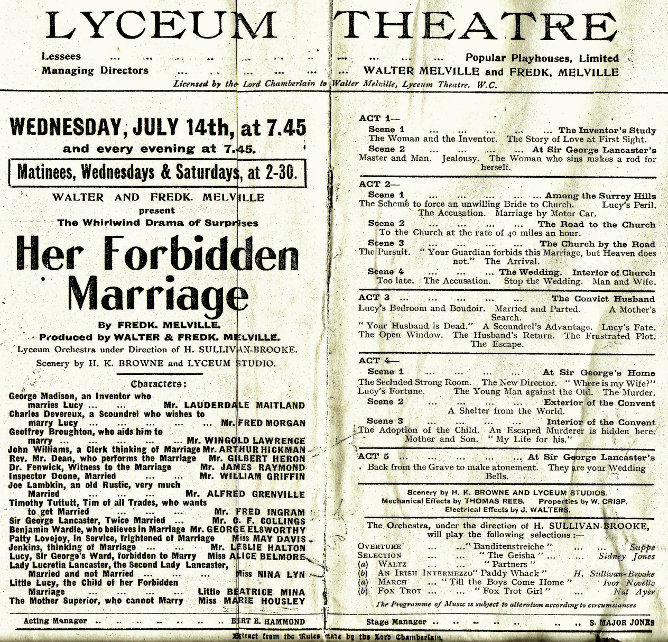 This included Saved by Wireless, a play with the setting of a wireless telegraph station on the coast of Ireland, which also stared Jessie Danvers as an agent of the German Secret Services, and other actors from the Belmore family. 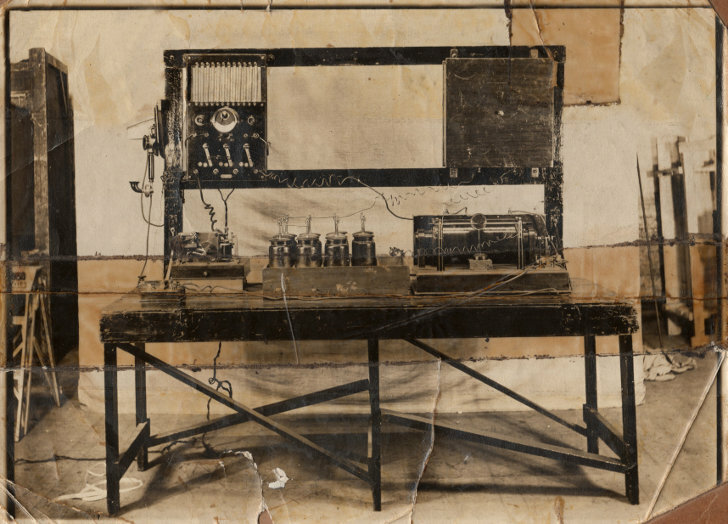 The play made use of real Marconi wireless instruments as props for dramatic effect. However, when World War I has started, government officials visited the theatre where Saved by Wireless was being performed to shut down the electrical effects from the radio transmitter, worried that they might be used to send information to Germany. A highly unlikely and amusing possibility. Lord & Lady Algy, with Jessie Danvers, who was to become Gilbert’s future wife. 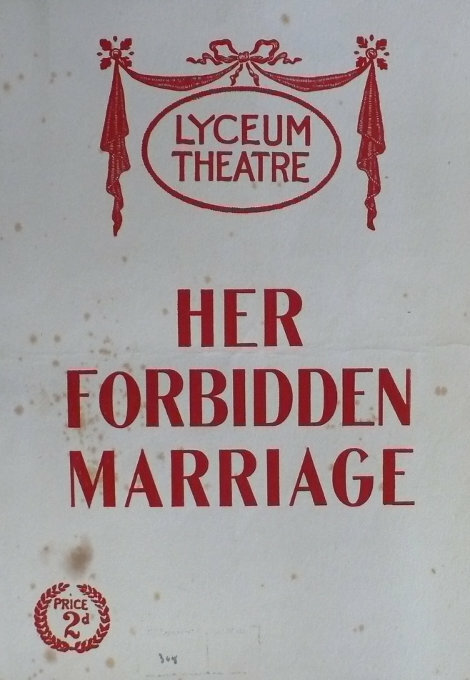 Her Forbidden Marriage, produced and written with the Melville Brothers. 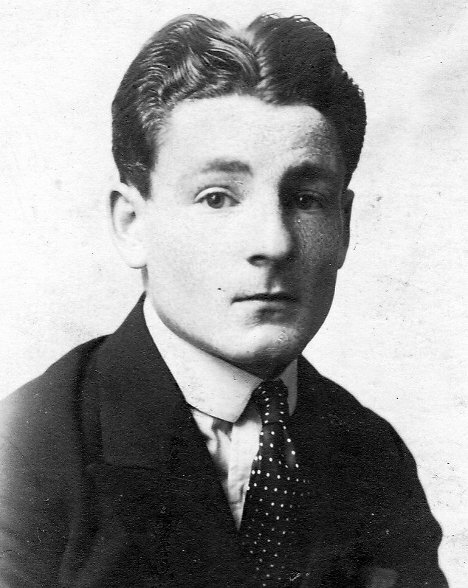 In 1915, during World War I, Gilbert Heron was naturalised as a British citizen. 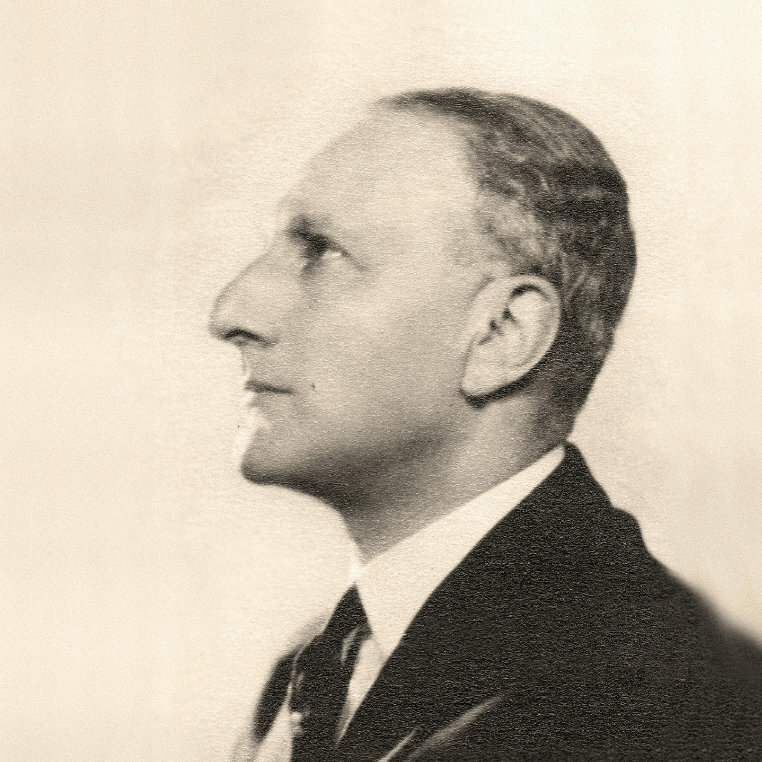 His Naturalisation Certificate A708 was issued on the 15th of May by the Home Office and states that he was previously of no nationality, and still named as Leopold Sinsheimer, yet known as Gilbert Heron. Name changes during the 1800s and early 1900s were rarely made by registering a legal contract though a national body, as there weren’t so many circumstances when proof of a person’s name was required. The Early Years of Radio Dramatic Plays. As well as the stage, Gilbert was a star of the radio. With the early teams of radio broadcasting, he worked with what was at the time ground breaking technology. 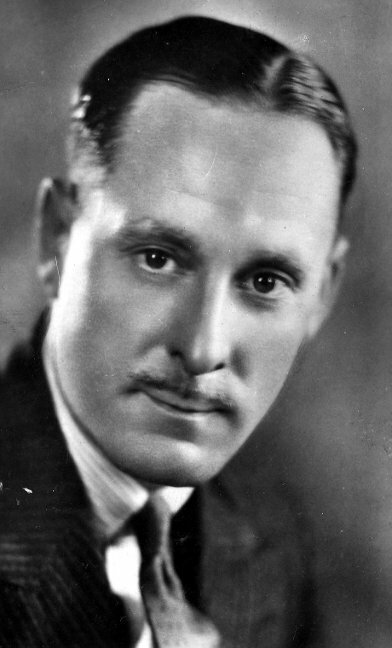 During his career as a radio playwright and show producer, he gained recognition for The Blind Detective, in which Gilbert Heron was the detective Max Carrados, and he also played the music used in the broadcast. 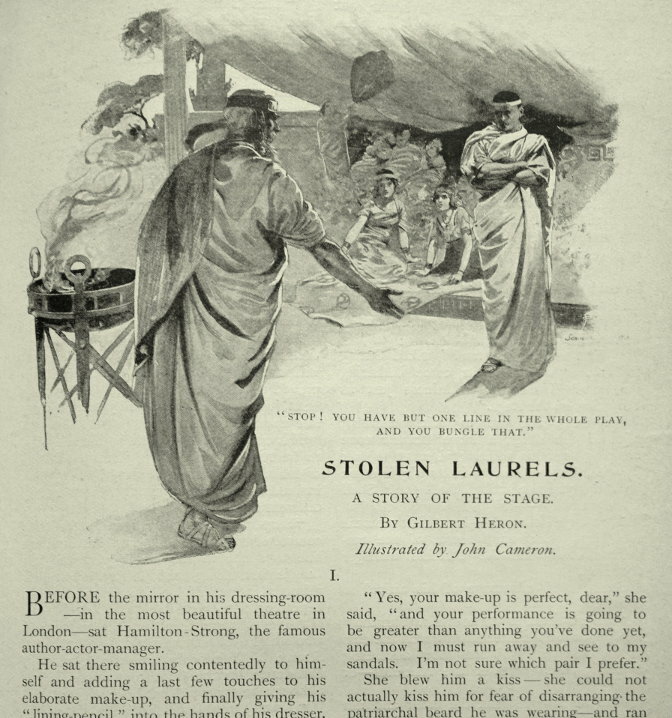 Max Carrados was a fictional detective series written by Ernest Bramah from 1914, which in its day was published alongside Arthur Conan Doyle’s Sherlock Holmes and often outsold it. 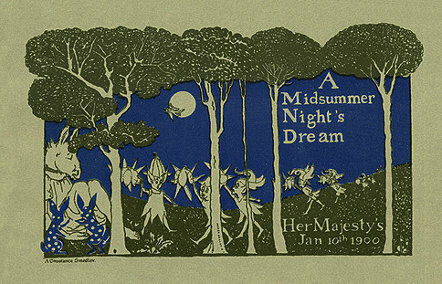 Another work of his was Saved by Wireless, which was adapted from the Gilbert Heron Company’s stage play. In May 1922, during the very early days of radio broadcasting, the Radio Society of Great Britain persuaded the Post Office to grant a broadcast for an hour a day in London from the roof of Marconi House, using the call-sign ‘2LO’. 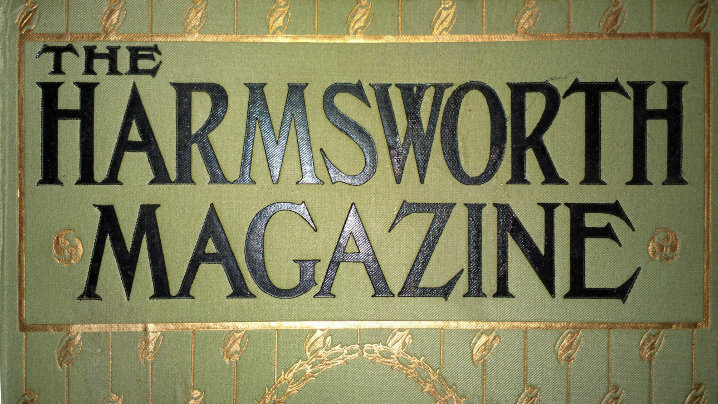 The station was directed by Arthur Burrows of the Marconi Wireless Telegraph Company. 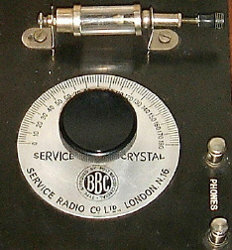 Marconi was anxious to obtain British Government permission to establish broadcasting stations in the UK as in America. The Government however were cautious. An experimental service containing no music was eventually agreed. 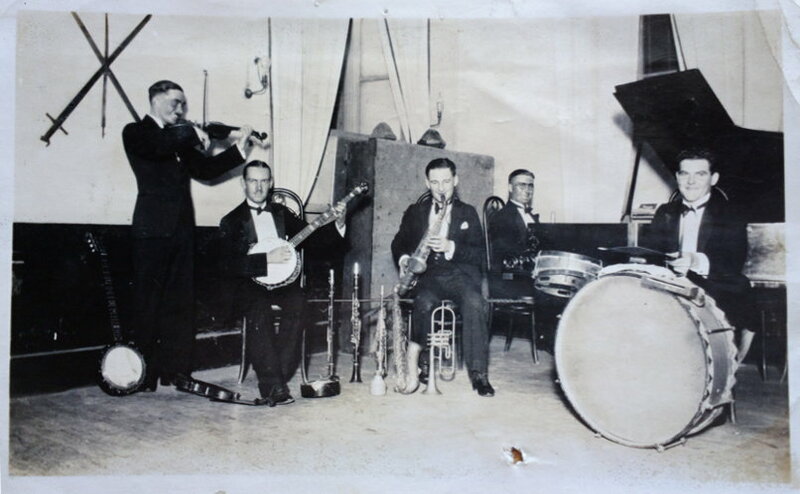 However in June 1922, 2LO was permitted to radiate its first concert. 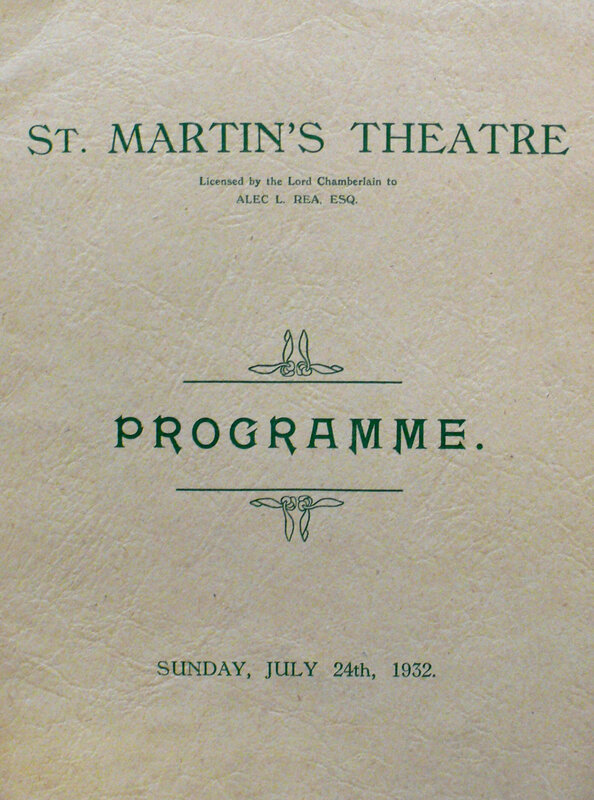 Stanton Jefferies was given control of musical programmes and Gilbert Heron charge of Melodramas. Occasional broadcasts took place from Marconi House with an initial range of 30 to 40 miles. Later the range was increased, and the broadcasts reached an audience of 30.000. 2LO would eventually become one of the ‘big six’ consortium that was the British Broadcasting Company Ltd., the world’s first national broadcasting organisation. In 1933, Gilbert and his wife Jessie adopted Reginald Gilbert Heron, natural son of Ralph Stevenson and Jessie Belmore. Jessie Belmore was a daughter of Jessie Danvers, from her previous marriage to George Belmore, making Reginald her grandson by blood. Gilbert Heron also played the flute, and competed in Bridge at an international level, using the Culbertson ‘contact bridge’ method. 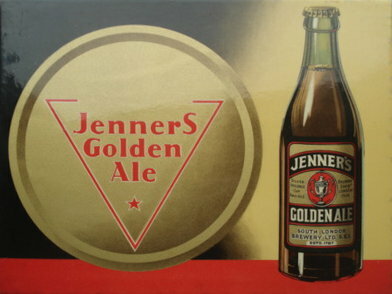 He was also a very good friend of the Jenner family, who were responsible for a brewery where Gilbert worked after he had retired from acting. 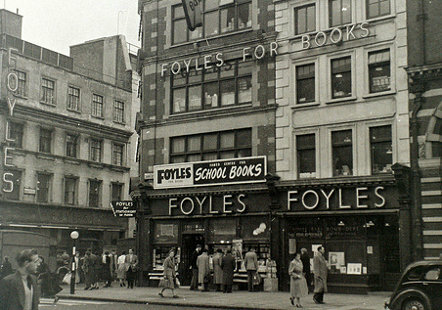 And he was a friend of Christina Foyle, the owner of the famous Foyles bookstore in London which had been founded by her father and uncle. 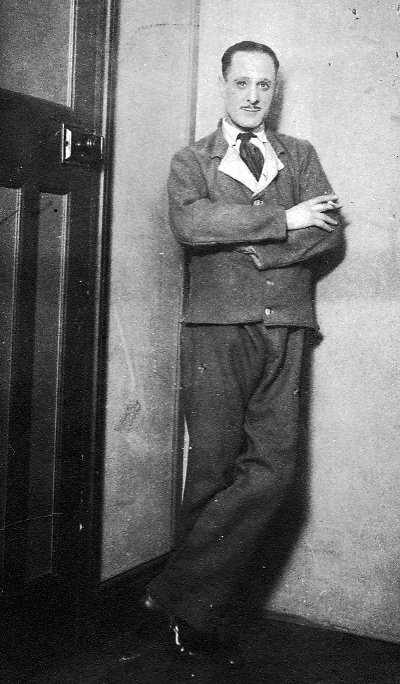 Gilbert Heron passed away in March 1951, a year after Jessie Danvers, in Brixton, London at the age of 79.